Italy is at all times a gorgeous and intriguing place to visit. It is filled with history, architecture, natural beauty and character. Its people are friendly and its culture is inviting. While there are literally hundreds of fantastic spots to visit in Italy, here is a list of the top five spots tourist destinations. Of course, the Colosseum in Rome is one of the first tourist attractions of which most people think. It was built during the time of the mighty Roman empire. It was a stupendous architectural achievement thousands of years ago and remains just as impressive today. It is an elliptically shaped amphitheater that was originally used by the gladiators and other public theatricals as 50,000 spectators watched. Because the original floor of the arena was made of wood, most of it has disintegrated by this time, leaving the underground chambers, formed of stone, visible. 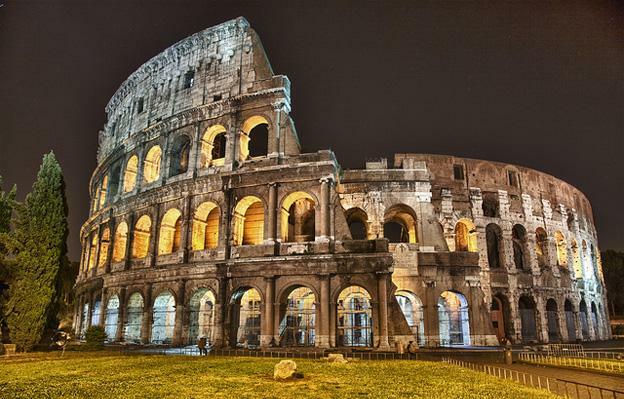 Currently, more than five million visitors come to the Colosseum each year to view its past and current grandeur. The Vatican is another highly visited site in Italy. In fact, it is its own city-state located entirely within the city limits of Rome. It is the worldwide home of the Roman Catholic Church which boasts over a billion adherents around the world. The Vatican is entirely enclosed by walls and is home to some of the most gorgeous architecture and artwork in the world. Some of the world’s greatest masters worked on the beauty within the Vatican. For example, Michelangelo is widely known for paining the ceiling of the Sistine Chapel while other famous artists whose work is there include Bernini, Botticelli and Raphael. Many Roman Catholics visit the Vatican each year for religious reasons. Altogether, it is estimated that over four million individuals visit this tiny city each year. In Venice, the Grand Canal is a widely popular tourist attraction. Venice is known for being completely surrounded by water. In fact, instead of streets, it has waterways. 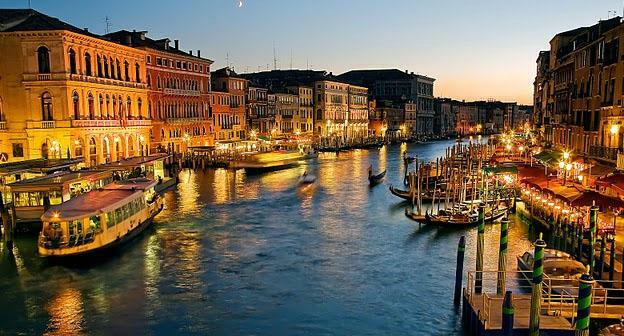 The largest waterway is known as the Grand Canal which has public transportation by way of water buses and water taxis. Additionally, tourists can enjoy the old world charm of riding in a gondola. The Grand Canal passes through the heart of historic Venice, providing numberless glances at beautiful architecture. Two of the most famous historical buildings, the Basilica di Santa Maria della Salute and the Rialto Bridge, are extremely popular among tourists. Pompeii is famous for its tribute to ancient history. Pompeii was a thriving Italian city during the legendary years of the PaxRomana. In AD 79, the city was buried under fifteen or more feet of ash from the eruption of Mount Vesuvius. After this ancient city was rediscovered in the 1700s, it became a time capsule of ancient Roman civilization. Today, around two and a half million people visit the site each year to see the archaeological remains and to learn more about the ancient culture. The Italian Riviera is a gorgeous strip of land that extends east from the French Riviera. It is historic in its vacationing draw; people have vacationed in this area, admiring the rugged coastal beauty and the quaint architecture, for hundreds of years. The most important city in the Riviera is Genoa. However, the area is also known for many other coastal towns including the internationally known Portofino and Cinque Terre. The area boasts numerous gorgeous beaches as well as other outdoor activities such as hiking. When in Italy you have to drive to the South and visit Sicily. 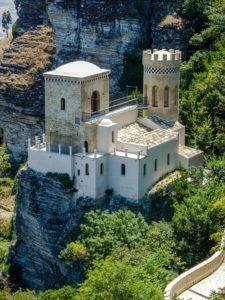 Sicily has a rich and unique culture, it also has some amazingly maintained castles and monasteries. It definitely worth spending some time at the Norman Castle in Erice which is also known as the Venus Castle, because its history has its fulcrum and origin in the goddess of fertility. Vacationing in Italy is an experience never to be forgotten. Whether one visits ancient sites and learns more about past people and cultures or experiences the modern conveniences of resort communities on the coast, the people and atmosphere of Italy beckon welcomingly. Visit Italy for its strong ties to history and its gorgeous scenery. Denise Hill the author of the top 5 things to do in Italy, writes for Guest Blogs Galore on a variety of topics including travel!